Warmer weather. Longer nights. Sprinklers running. Summer delight! Give yourself a berry boost: You’d be surprised how much energy you can obtain just by eating a bowl of mixed berries. Imagine how much of a difference it would make to your health if you were to do it every day. 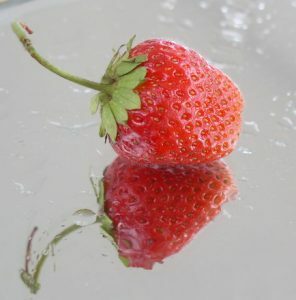 Berries, such as strawberries, blueberries, blackberries and raspberries, helps keep your cholesterol down. It is said that it can even possibly prevent some cancers. Another plus to eating berries is that it has a lot of antioxidants in them, which helps to reduce age-related illnesses and prevent damage to tissues. Floss daily: We know, who wants to floss? And every day, at that? However, flossing reduces oral bacteria, which ultimately improves your overall body health and provides more resources to fight off bacteria everywhere else. Cool, right? You’ll definitely be ahead of 85% of other people in the world. And don’t forget to brush your gums, tongue, cheeks and the roof of your mouth as well. Keep it all clean! Take care of your eyes: We all get excited when we see an ounce of sunlight creeping through the blinds. We can’t help that we love warmer weather! But, as much as we enjoy the summer’s heat, we have to be mindful of our eyes. Wearing sunglasses help to block out at least 99% of UV rays and can prevent getting wrinkles around the eyes as well as cataracts. Get some rest: Sleeping is so vital. Sometimes, we get so carried away and forget how crucial it is. Getting a good night’s rest each night and sticking with a consistent sleep routine helps improve your sleep hygiene. Resist the urge to stay up longer than what you’re used to, just because it isn’t dark outside yet. These are a few simple ways to help your immune system and improve your health this summer. Give them a try! 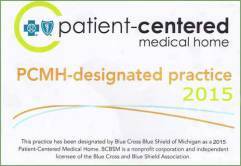 If you’re in the Livonia, Westland, Garden City or Dearborn area and are looking for a new doctor to check out your health this summer, please do not hesitate to contact us. We use the latest equipment and methods to perform diagnostic testing at our medical clinics. Ever been exposed to high temperatures to the point where you feel dehydrated? Horrible feeling, isn’t it? Heat exhaustion is no fun. You aren’t able to partake in events, activities, and other things because of the overpowering heat from the sun. Typically, for this illness, there is two types of heat exhaustion: salt depletion and water depletion. Salt depletion can include anything from dizziness and nausea to vomiting and muscle cramps. On the other hand, water depletion includes headaches, weaknesses, loss of consciousness, and excessive thirst. If you or anyone else are experiencing these symptoms, find the nearest cool/shady area possible. Taking a cool shower or bath, drinking lots of water, turning on fans or air conditioning, and removing unnecessary clothing are ways to help treat heat exhaustion. Even though heat exhaustion isn’t as bad as a heat stroke, it still isn’t something to be taken so lightly so if these symptoms progress, you should seek medical attention as soon as possible. To make a follow-up checkup appointment please call our Westland Clinic at 734.728.2130. Heat strokes are considered very serious. If you or someone you know are having a heat stroke, calling 911 is recommended. Not only can heat strokes be dangerous, but they can also cause a lot of damage to other organs and to the brain. Normally, people over the age of 50 are prone to getting heat strokes, but it can also take a toll on young adults. A heat stroke is a combination of dehydration and being exposed to high temperatures. It’s always a nice feeling to be outside in the sun, but being severely exposed to the sun is not good nor healthy. By preventing harsh sun exposure and getting the proper sun protection, you can avoid illnesses such as heat exhaustion and heat strokes. 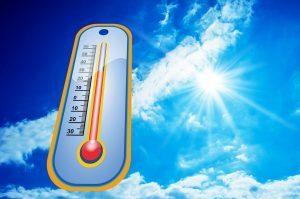 At Millennium Medical Group West our Westland Medical Center with professional staff and physicians can help with heat-related illness like heat exhaustion. Stay tuned for our next article on diagnostics and treatment of heat related illness.